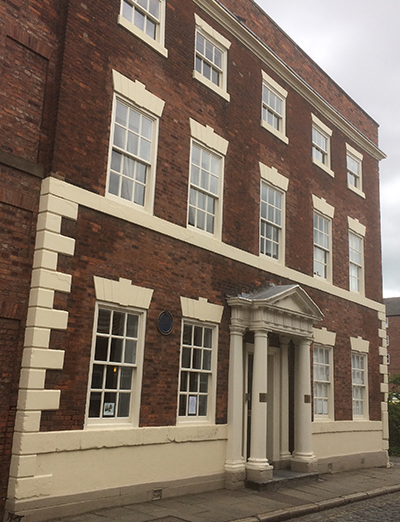 The University of Hull wished to own and restore a dilapidated grade 2* listed building in the heart of the old city. We engaged with the owners at the time and convinced them to sell the building (worth approximately £2,000,000) to the University for £1.00 only. We then needed to raise a further £1million to fully restore and convert to a Centre for Maritime Historical Studies. Research established that Benjamin Blaydes, builder of the house and a leading shipwright and merchant in the late 19th century, had built and sold The Bethia to the admiralty. It was refurbished, re-equipped and renamed The Bounty. The fundraising drive to 'Save the Home of the Bounty' was hugely successful, raising more than sufficient funds to complete the project. In the process, the site was visited by direct descendants of Captain Bligh and Fletcher Christian, and featured in the national press. The Centre was opened by the Duke of York, and subsequently entrepreneurs approached the City to propose rebuilding The Bounty as an ambassador for Hull in repurposed derelict land adjoining the Centre.